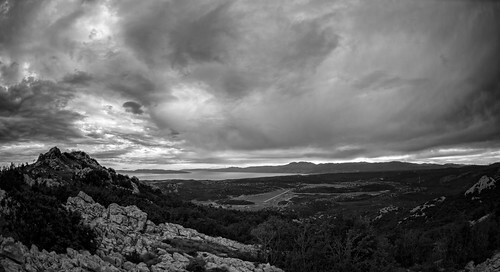 View at the Adriatic Sea and Kvarner bay from the mountain Platak, which is located in the hinterland of city of Rijeka in Croatia. Saturday afternoon after the storm, a beautiful sky, clouds, stillness... I and my Pentax K-3. The pleasure that nobody can pay.